Mitch Winehouse claims he'll never allow his daughter's music to be used in films about her. 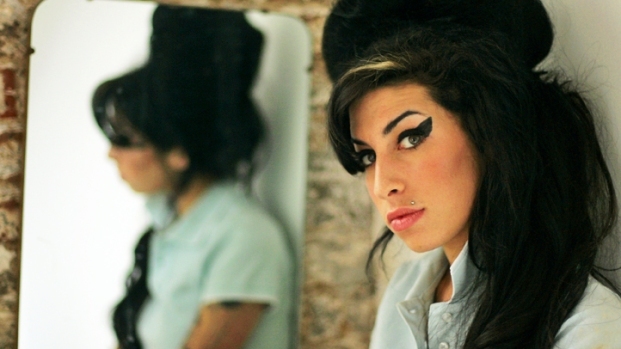 Any potential films about late singer Amy Winehouse will not be able to use her music, according to her father. Any future Amy Winehouse-related films, including biopics, have just met a significant stumbling block: Her father, Mitch. The elder Winehouse, who owns the rights to all of his late daughter's music, told the Daily Mail that he will "never allow the songs to be released" for bio films. Winehouse's stance may be an attempt to block a project rumored to be in development through the late singer's ex-boyfriend, Reg Traviss. "It would hardly be a biopic without the music," says Winehouse. Mitch Winehouse then claimed to be planning a "heartfelt and revelatory" memoir about Amy, with proceeds going to the foundation for children in need he started in her name.